Do you want to buy Microwave ovens (UHF)? Our team knows how hard it is to find the best offer in the UAE. That's why we've gathered 0 e-shops from all over the country! You can select and compare prices among 50 product offers without leaving your armchair. Large amount of offers will help you to choose device for any color and taste. We've found the best prices for you. Choose among Microwave ovens (UHF) from 169 AED up to 319 AED. 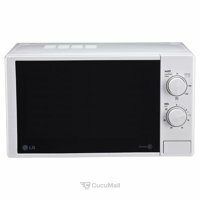 Also you can read comments, reviews about the Microwave ovens (UHF), watch photos and video-reviews. To order the product you need to go to the shop partner page and make a purchase. Don't forget to ask about payment methods and delivery! 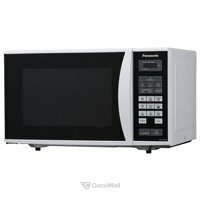 FIRST1 MICROWAVE FM-W282 17 Liter capacity, Defrost Setting, Manual Control Panel,6 Power Levels,30 Min Timer, Push Button Door,230-24-* 50Hz. BLACK & DECKER MICROWAVE MZ2000P-B5 800 watts, 20ltrs capacity, defrost function, 30 minutes timer. 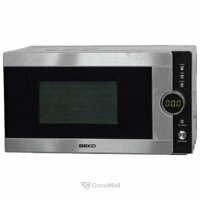 CLIKON MICROWAVE CK4311 17L capacity, 6 Power levels, Defrost function, end of timer zone, 700w. DAEWOO MICROWAVE KOR-1N3A 1000w, 31L, 5 auto cook programs, 10 power levels. 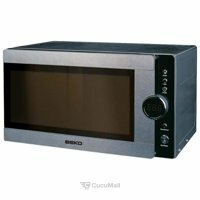 BEKO MICROWAVE MWF 2010 ES 20 Ltrs Capacity, 5 Microwave Power Levels, 800 W & 1100W Grill Power , Electronic Control, Silver. BLACK&DECKER MICROWAVE MZ2310PG-B5 23L microwave oven with grill, 800w power, grill power 1000w. manual programs, Digital controls.